Mobile radar MTR-L is intended for automatic detection of aerial objects (AO) at small, average and big altitudes, determination of target current position, locking of AO movement trajectory and AO automatic tracking. 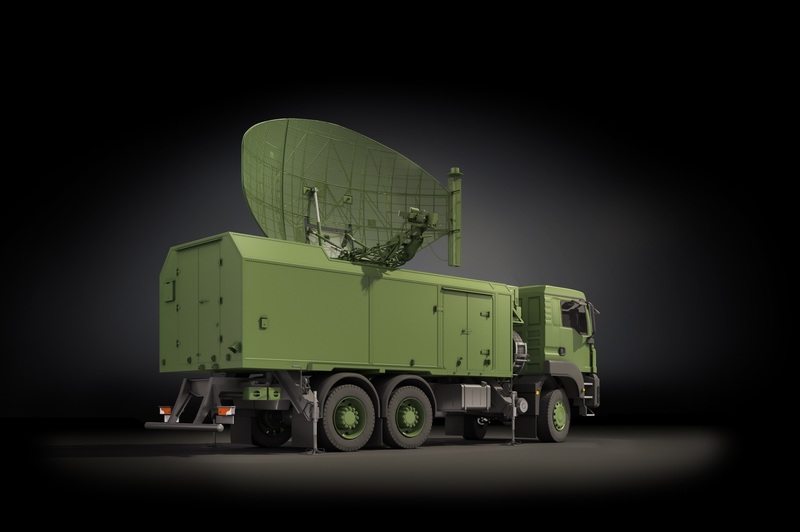 MTR-L includes surveillance primary radar channel (PRC), which uses approach of active location with passive response, and secondary radar channel (SRC), which uses approach of location with active response, that work for one common antenna. In primary radar (PR) a complicated sounding signal consisting of smooth signal and phase-shift keyed signals of different range is used. Sequence of high-frequency sound impulses which is formed in digital signal processing block (DSPB) and PR modulator subblock intensifies in PR transmitting system and is emitted into the space by common for PR and SR mirror antenna.Reflected signals are received by the same antenna, are intensified by the PR receiving system and proceed to the DSPB, in which they transform from the analogue form into digital. All further processing (suppression of jamming of different type, extraction and detection of signals reflected from aircrafts (AC) and AC coordinate measuring (azimuth and slant range)) is implemented automatically by special algorithms. 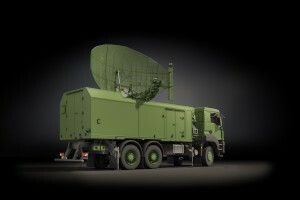 Work of the secondary radar (SR) is based on the principle of directed emission at the request frequency (1030 MHz) of coded sending of electromagnetic energy pulses into the ambient space. The request pulses are received by the AC transponder and decoded. Through the nondirectional antenna the AC transponder emits coded sequence of electromagnetic energy pulses at the frequency of the response (1090 or 740 MHz) bearing data on number or AC altitude. AC reply signals are received by the ASR antenna, intensified in SR receiving system and proceed to the system of data digital processing in which they transform from the analogue form into digital. Decoding of response signal is done in the DSP block by special algorithms. Decoded information received from AC is identified with the coordinate information of PR and is displayed on the AWP observation monitor. receipt of SOS signals (conflict situation or “Emergency”). Flight information (hull No, remaining fuel, flight altitude, condition of the airborne equipment – if normal or not). I/P (Identify Position) signals in 1, 2, 3/А modes. control of technical condition and examination of main radar units. Main characteristics of primary and secondary MTR-L radar are given in the table.